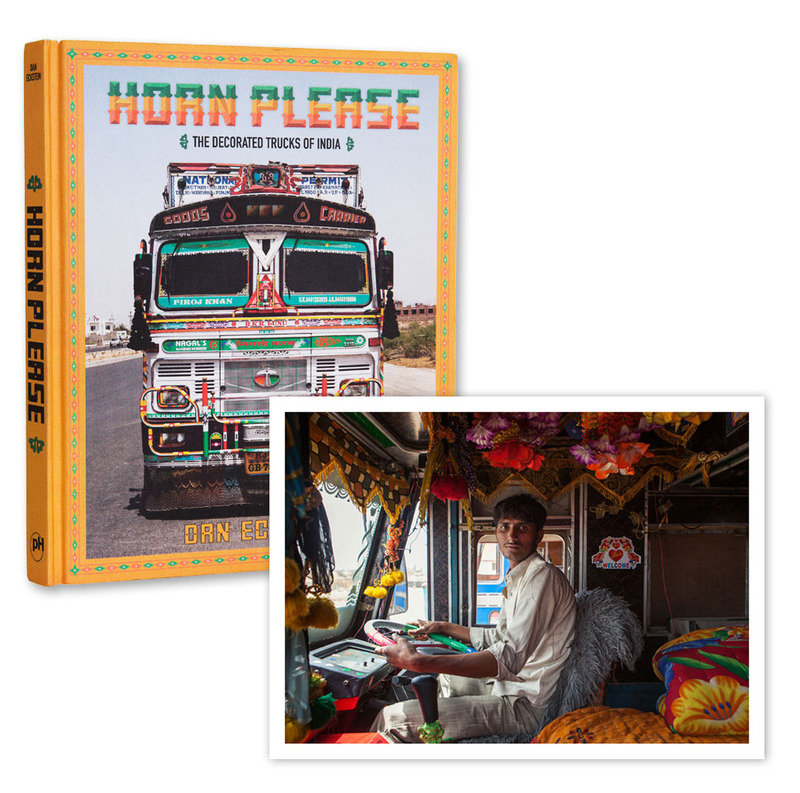 Order your copy of Horn Please: The Decorated Trucks of India on Amazon or from powerHouse Books. The Limited Edition version of the book comes with a choice of one of four editioned prints. 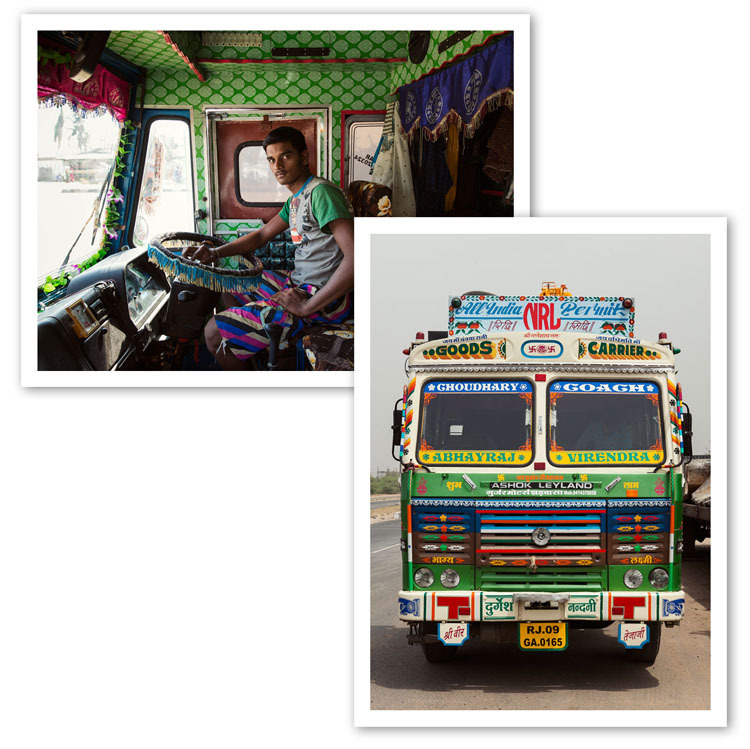 The prints are 8x10" and printed by the artist using pigment inks on archival paper. They are signed and numbered en verso. The edition is limited to 60 copies (15 of each print). Editioned prints are available of all images in the book. Prints are sized 20x24" (edition of 15) and 30x40" (edition of 10). All limited editions are printed by the artist using pigment inks on archival paper. They are signed and numbered en verso.